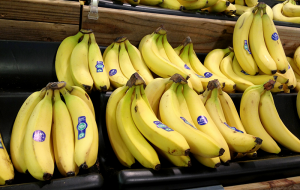 Sustainable farming in Costa Rica - bananas! The 4th of July - Independence Day - used to be my favorite holiday. I've blogged before about this, but as a kid, I always spent summers with my dad, and on the 4th he'd usually go to a party in town where we'd watch fireworks on the Columbia river. When I was really little fireworks scared me, and I'd bury my head in his strong loving arms. But as I got older I loved the fireworks and the Oregon summer air and being together with my brother (who I didn't live with except in the summer) and my dad. It was like my family was together only during these summertimes. Now, holidays alone are hard for me. Yesterday was tough. Independence day just reminds me that I am "independent" ie single. Most of the time I am perfectly fine with that, and enjoy my solitude, and hanging with friends and doing my work, but on holidays when my close friends leave town to spend time with their families and I'm left alone it can be tough. And as I near the empty nest when both my kids will be gone from under my roof (only my son is there now), the prospect of facing life alone for the rest of my days can feel daunting. (It is also a factor in why I have decided to apply for grad school - I want to challenge myself and reinvent my career and do more for people who might be suffering or struggling in the world than I feel I can do through my writing alone). At any rate, yesterday I felt really alone and reached out to someone who did not respond quite as I had hoped. At first the lack of response was ok for me, but it turned to a bit of a downer today when I got a more abrupt message. My heart felt saddened, and after a cry and a nice hot bath, I decided that this was a job for mama-love! I really have healed my relationship with my mom tremendously over the past year, mostly because I now have a teenager and it made me appreciate the hell I put my mom through and all the ways that I held a silly grudge over things she did her best on, and I truly forgave things from my childhood from my heart. I had meant to blog about this before, but didn't get to it... so here it is. And my mom isn't that old, but you just never know when a parent might go, and I absolutely would and will be heartbroken. Because of our healing, I feel a new closeness to my mom, and wish she was even closer so we could spend more time together. So here I am, in Dallas visiting for a bit, and on the drive up this evening I felt that I needed to listen to the final CD of the audio-book of The Shack (an amazing book!) for the third time, and it was exactly what I needed to hear! This is a fictional story of a guy named Mackenzie (Mac) whose young daughter Missy is kidnapped and brutally murdered. He eventually goes to the "shack" where she was killed and there, ends up spending several days with three characters: Papa (God) who is a black woman, Sarayu (the Holy Spirit) represented as an ethereal sparkly Asian woman, and Jesus. At the end of the story, it turns out he was in a coma from a car accident, but the time spent with the trinity was genuine because he was able to locate Missy's body from what he had learned over the course of the days. Throughout the book, the time Mac spends with each of the characters is awesome and illuminating; Mac learns about faith and doubt, and how much God loves us as a beautiful chaotic mess. For example, they show Mac a messy flower garden to represent his heart and soul. One of my favorite lines is where Papa likes to say about everyone that comes up in conversation "I am especially fond of ____." Feeling loved by God is so hard sometimes, but as Beth Moore says, until we can feel deeply loved by God, we cant love God with our whole hearts and minds and soul and strength. It's a process of letting go and of asking to feel loved - hard because people often transpose God with our own fathers or caregivers or experiences in life. But hearing that dialogue between Papa and Mac, when he said out loud he forgave the killer - and that did not mean that it was OK what he did, or that he had to have a relationship with the person. But Papa (God) said that He loved the killer because he was His child. He didn't love what the killer had become, but He loved him "for the broken child twisted by his pain." If only we could see those who hurt us in small ways and big through these loving eyes of grace! If we could really live this out in life! How powerful that would be. Papa said there is power in speaking and declaring forgiveness out loud, and so I turned the CD off and spoke out loud that I forgave that person for the very few things I still felt any upset over, and then I realized what I mostly needed was to forgive myself and to truly accept God's forgiveness for my own mistakes in this, and so I spoke that - I said God I accept your forgiveness for... all these things. I cried, and it was so poignant and beautiful. And then I continued to listen to the end of the book, and just like Mac with his flood of joy upon forgiveness, I literally felt this warmth and this peacefulness come over me. I felt like I had such deep love for this person and there was no desire to control the outcome anymore, and just a deep feeling of extending God's grace to him, and to myself. At the same time, God called to mind during that thought process that He had raised the dead to life for more than one person (Lazarus, for example) who had been in their grave for multiple days. I know that God can heal all things - it is His very nature-- Jehovah Rapha or God who heals. I know that when there are two people who live grace and love God, there is nothing that can keep God from performing His healing work between them because God is love, and God's whole story is about reconciliation. It has been true between my mom and I, and between my daughter and I, and I know that in time, it will also be true - in whatever capacity that God wants - between my friend and I. Until then I rest in my prayers and the love I hold in my heart. On a final note - how amazing God is! - I had found that image at the top completely randomly by searching through my photos as I do and I picked that one because of the bent trees growing towards one another and that represented the lyrics in the Pink song I quote. 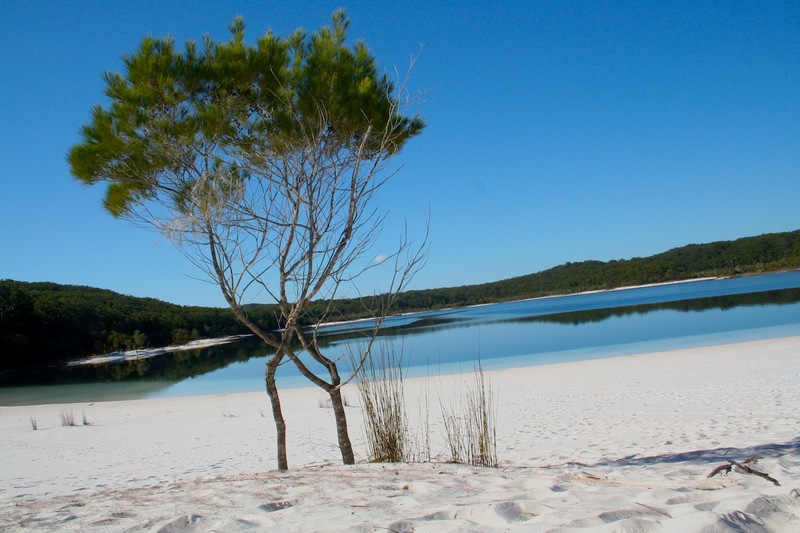 I actually thought it was Lake Wabby, but when I googled it, it turns out that lake is actually LAKE MCKENZIE!! How freaking weird is that!!! I had forgotten there even WAS a Lake McKenzie... Twilight zone!! God is at work... Wishing grace and peace to all you pumpkins! Have a great weekend. My latest article came out today! I researched this piece when I went to Costa Rica in April. The pub even used several of my images in the article (including the one above). The 2013 trip was actually my second time to EARTH University, and in fact the first time I went -- to report on the Planet, People, Peace conference on sustainable ecotourism - I was so impressed I decided I wanted to write an article about the university itself. And delving into the history and operations of the university during my article research I became that much more impressed with the place. They have an "upside down education" model that helps students who may not have had as much education as those from say the U.S., and they put them in the field right away, learning practical techniques. They give them money to run a business for 2 years, and then they have classwork. Nearly everyone has financial aid, and more than half get their full tuition paid for. Everyone I met was so passionate about their work there. 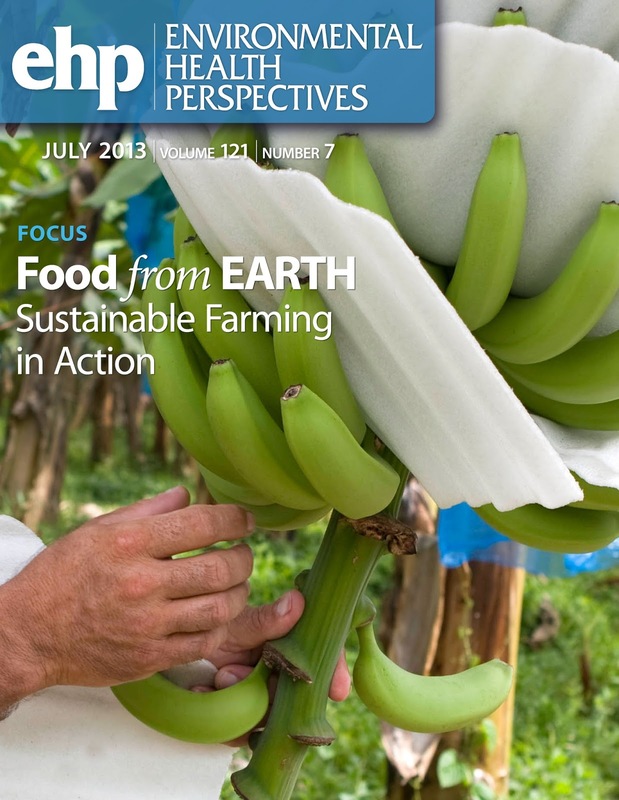 Food from EARTH: Sustainable Farming in Action in Environmental Health Perspectives July issue. Or, you can also view the PDF version here, which has a magazine-style layout, which I prefer!